Appropriate for Introductory Drafting, Technical Drawing, and Engineering Graphics courses. This completely rewritten adaptation of Giesecke utilizes an abundance of hands-on activities and clear step-by-step descriptions to teach students freehand sketching and visualization skills for engineering graphics. New edition features completely revised material on manufacturing, student CD with animations keyed to the text, and more worksheets on sketching. Emphasizes development of sketching and visualization techniques. Discusses use of 3-D or 2-D CAD in conjunction with sketching techniques. Offers clear, easy-to-follow, step-by-step descriptions throughout. Features integrated hands-on activities. Highlights drawing tips in special boxes throughout. Lists objectives for each chapter. Includes chapter-end questions. Provides WWW references for locating up-to-date resources. Features a text specific Website. Instructor's Guide with solutions and PowerPoint slides, provide an additional testing resource for instructors. 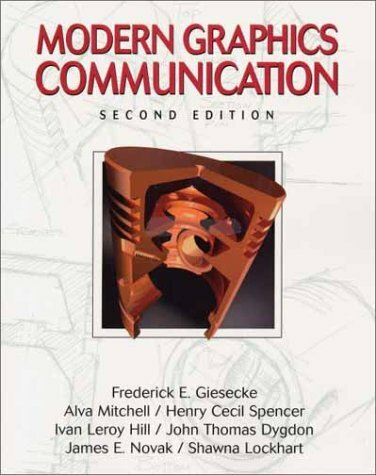 This completely rewritten adaptation of Giesecke utilizes an abundance of hands-on activities and clear step-by-step descriptions to teach freehand sketching and visualization skills for engineering graphics.